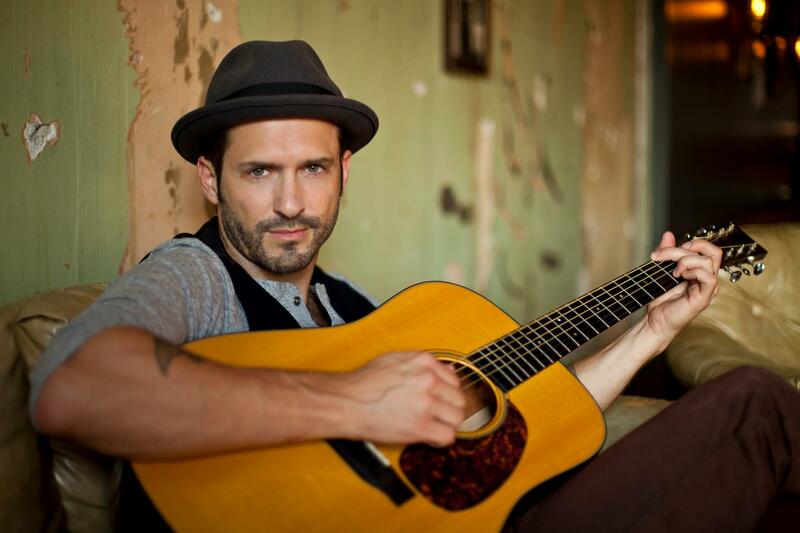 Have you heard of Tony Lucca? I'm always surprised that he's not more well-known, considering the amount of exposure he's had over the past 25 -- yes, 25 -- years. He joined the All-New Mickey Mouse Club (a.k.a. MMC) cast in 1991 at the age of 15 and remained on the show until its end in 1994. After a brief foray into acting in Los Angeles, Tony decided to pursue a career in music full-time (his maternal grandfather was Detroit jazz musician Jimmy Stevenson). If it seems like I'm a fan, it's because I am. Like most '90s kids fortunate enough to have access to cable television, I watched MMC. To say that I was a huge fan of his back then would be a lie (I was more of a Dale Godboldo/Matt Morris fan), but he was a fan favorite, and I've kept tabs on him and many of the cast members since the show ended. In 2007, Tony's cover of Daniel Johnston's "Devil Town" was prominently featured on the Friday Night Lights television show soundtrack. In 2012, he came in third on the second season of The Voice. At the ripe old age of 21, Tony self-released his first album, "So Satisfied," and released "Made to Shine," a Kickstarter-backed album just last November. Tony's music has evolved from blues-jazz-pop to acoustic singer-songwriter pop to a fuller rock-pop over the years, but he has retained a gift for thoughtful songwriting and the ability to give any song an introspective inflection. A couple of weeks ago, Tony released a three-song EP recorded at the famed Sun Studio in Memphis, Tennessee. If you want to check out what he has to offer, he'll be doing a free live show on the internet at 9 p.m. Eastern Time this Wednesday, March 9th. And, just for fun, a throwback to his Mouse days. Here he is singing Maxi Priest's "Close To You" with the aforementioned Dale, Matt, and two future members of *N Sync: J.C. Chasez and Justin Timberlake. Tony's the one in the oversized black suit (military coat?) and tucked-in white shirt. How could you not miss the '90s?